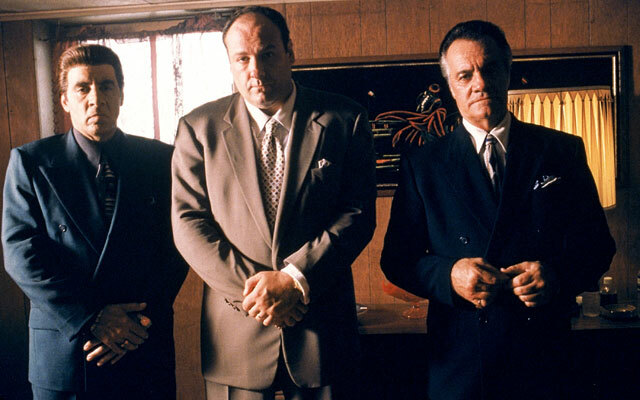 Final Analysis: What really happened to Tony Soprano? WTOP Film Critic Jason Fraley breaks down "The Sopranos" finale and revives the ongoing debate over whether Tony Soprano lived or died. WASHINGTON – It’s been seven years since a “cut to black” triggered a collective panic attack, sending couch potatoes to Dr. Melfi’s therapist couch to cope with the final seconds of HBO’s “The Sopranos” (1999-2007). While “Dallas” revealed who shot J.R. and “The Simpsons” explained who shot Mr. Burns, “The Sopranos” offered no such closure. As a result, the debate over Tony Soprano’s fate lives on even after the death of James Gandolfini. interview with the website Vox, “Sopranos” creator David Chase was asked point-blank whether his gangster protagonist is truly dead. “No, he isn’t,” he reportedly replied. The back and forth speculation sparked buzz on both sides, one side cheering that Tony was still alive, the other side insisting Chase was being cryptic and that Tony was most certainly dead. Tony Soprano is neither dear nor alive. He’s dreaming of his death. Better yet, we’re all dreaming. The most passive, superficial reading might lead one to believe Tony simply has a family meal. After all, we never see him physically shot. We don’t hear gunfire off screen. We never even see a gun. This is sadly how most viewers read film and TV content, but Chase urges us to look deeper. Tony’s mundane family meal would ring thematically true to the series — that family is most important — but this outcome is way too easy for someone of Chase’s genius. 3) While in the coma, Tony effectively enters purgatory by visiting the heavenly Inn at the Oaks estate. Here, Tony’s dead mother waits in the doorway in silhouette; Steve Buscemi tries to take his briefcase (a.k.a. his soul), and Meadow’s voice calls out from the woods, “Don’t go, daddy!” You’ll notice that this estate resembles the painting on the rear wall of the restaurant during the finale. 5) Tony studies each patron with paranoia — except his killer. In a stroke of beautiful irony, the Man in the Member’s Only Jacket enters at the same time as Anthony Jr. The entire series is about a man trying to provide for his family, and in his final moments, he is distracted by the love for his son. 6) Upon sitting at the table, Anthony Jr. reminds Tony of something he once said: “Focus on the good times.” This line is spoken just as the killer sits “out of focus” in the background at the bar. 7) As the gunman gets up from the bar, we cut to a very deliberate pan that shows him entering the bathroom to the words “hiding somewhere in the night.” Our pop-culture memory reminds us that Al Pacino grabbed a gun from the bathroom to whack a mob boss in “The Godfather.” What’s more, one of the show’s famous dream sequences showed Tony grabbing a gun in a restaurant bathroom. 9) Tony’s daughter, Meadow, is spared because she’s late to arrive, struggling to parallel park just like in the show’s early seasons. The restaurant geography suggests Meadow should have been sitting next to Tony, impeding the gunman’s path from the bathroom. Instead, she arrives late and watches her own father’s murder, as the screen cuts to black just as she enters the restaurant. 10) Now, this is where things get really interesting. Each time the doorbell rings, we get two shots: (a) an objective shot of Tony looking up, followed by (b) a subjective shot from Tony’s point of view. If this pattern holds true, the screen cuts to black within Tony’s POV, suggesting he is dead. The above clues are enough to conclude that Tony is whacked at the end of this scene. But is the scene we’re presented a portrayal of reality? Or a telegraphed dream? This is the real fake-out, which I believe Chase is alluding to in his most recent interviews. expresses this concept through sight and sound. I assure you, it’s right there from the start. It’s at this precise point that Tony suddenly sees himself sitting across the room, entering his own POV in a jarring cut reminiscent of Stanley Kubrick’s “2001: A Space Odyssey” (1968). Tony is no longer in reality. He is watching a vision of himself. The dream theory doesn’t rule out the life or death theories; it expands upon them. We don’t know whether Tony wakes up in a cold sweat or if he’s fated to live out this ominous premonition. Regardless of whether you loved or hated the “Sopranos” finale initially, repeat viewings prove that this is one of the most masterfully constructed scenes in entertainment history. And yet, we’re still talking about it. The movie never ends. It goes on and on and on and on. Follow WTOP Film Critic Jason Fraley on Twitter @JFrayWTOP, read his blog The Film Spectrum, listen Friday mornings on 103.5 FM and see a full list of his stories on our “Fraley on Film” page.